Green Panda are another company putting an inventive spin on the seemingly commonplace, bringing us the Green Panda Bamboo Toothbrush. 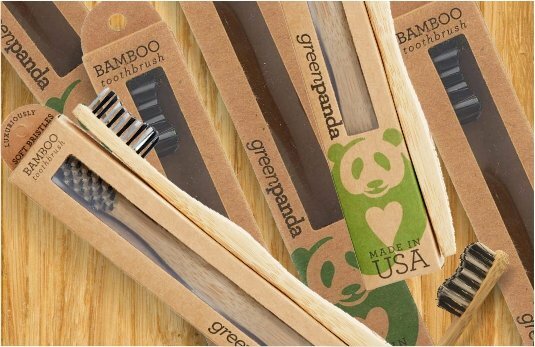 “This eco-friendly alternative is made from bamboo, a naturally renewable source”, Green Panda elucidates, ” The charcoal enhanced bamboo bristles are naturally antimicrobial and free of BPA”, bisphenol A, an industrial chemical found in some plastic products and has been linked to various health issues. Even the packaging is biodegradable and plant-derived! This month, we’re featuring Green Panda Bamboo Toothbrushes for adults and children. Available at Lindo’s Family Foods, Warwick, only.